For me, packing for a mini-break is almost as exciting as the trip itself. There are so many great swimwear sets out at the moment and after missing out on some beautiful pieces last year due to my huge baby bump I feel like I have some catching up to do. I'm drawn to the cropped cup design that's out this season where you can see more of the underwire. The style is flattering and gives enough support that you can actually swim if you choose to. This favourite white leopard style is everything a bikini should be. Use code then15 for 15% off online too. 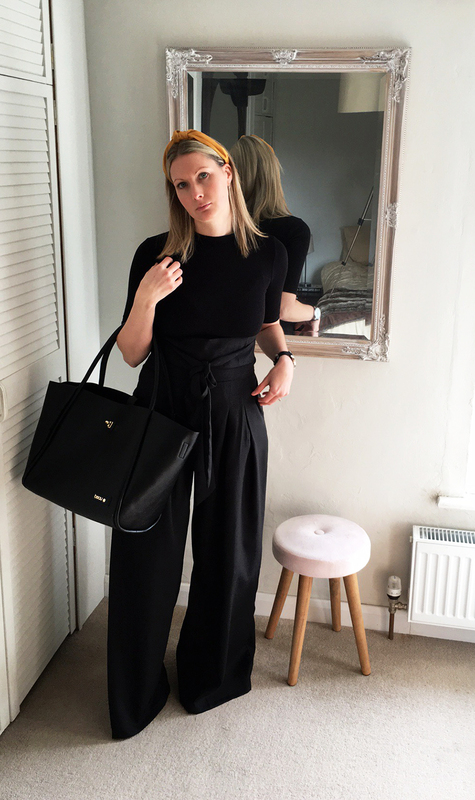 This season it is all about trousers and I've finally got my hands on the perfect pair of pleated waist, wide leg beauties. Flattering, comfortable and easy to throw in the wash I will be wearing these on repeat. 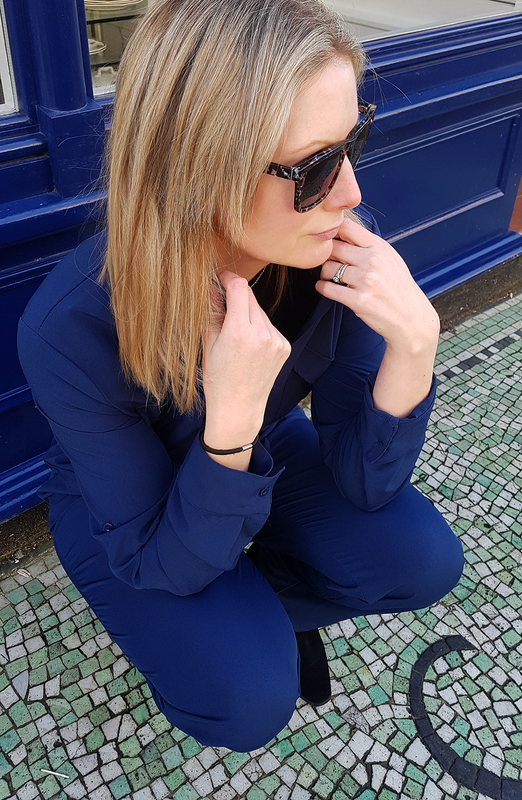 I've thrown them on today with a tight rib high-neck tee (a body works well too), a short suede jacket and statement mustard headband. They are a great length with a mid heel and being 5'5" I so often find trousers far too long. 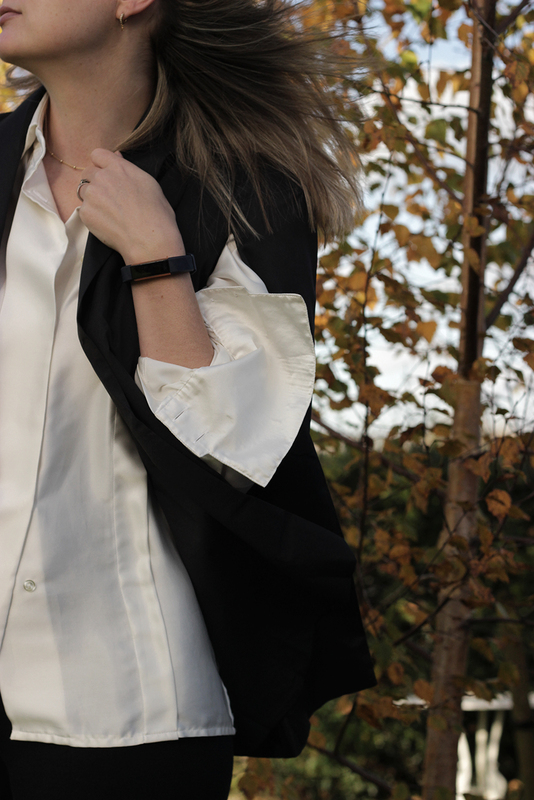 If you fancy nabbing a pair too I've got a 15% off code for you, use then15. 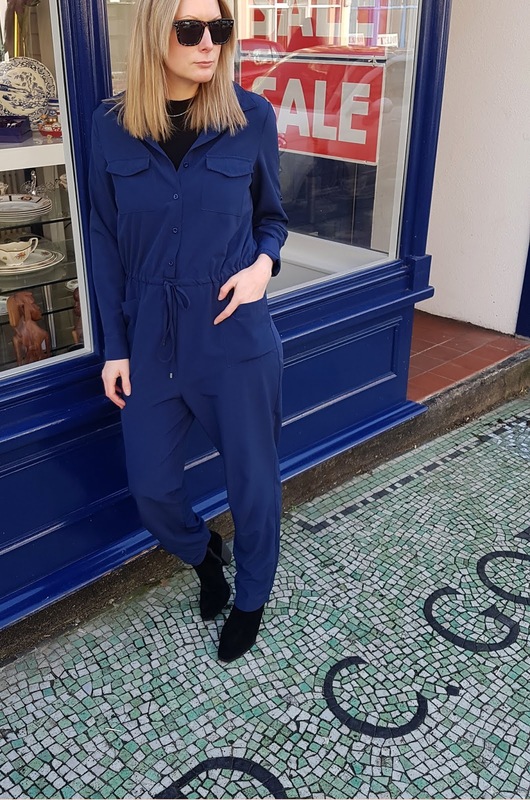 This Spring a jumpsuit is an absolute essential. 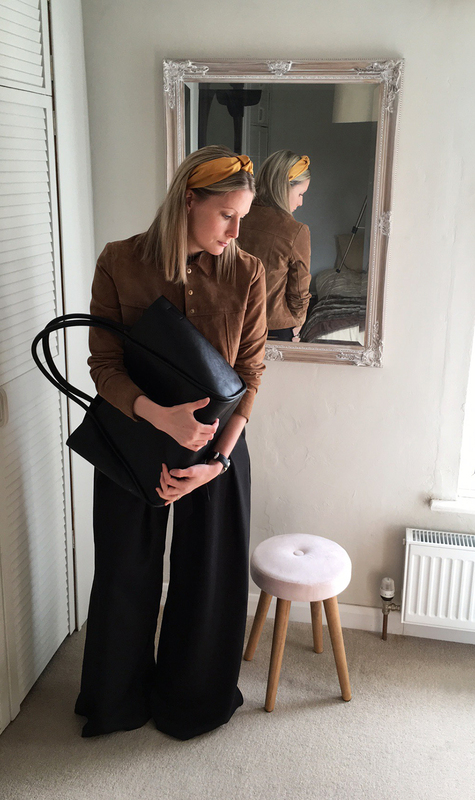 Easy to throw on, always chic and can be layered up on cooler days. 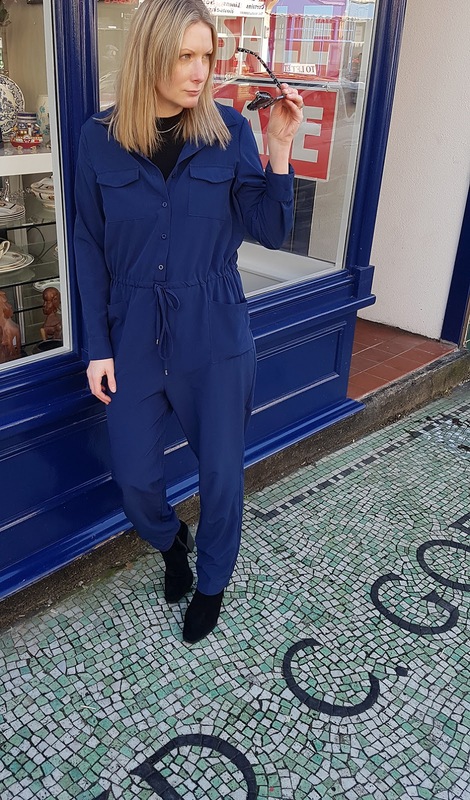 This royal navy blue boiler-suit style is one of a few new pieces that I am wearing on repeat and at just £22.99 it's a great purchase. A few days ago the weather was warm enough to leave my coat at home and explore the coast so I just added a high neck fitted tee and a pair of new black boots. Use code then15 for 15% off on the site now! There was a time when I left the house with a clutch bag or a dinky saddle bag. Those times seem a long time ago and won't be returning soon. We went out for a family brunch the other day and I was kicking myself for not carrying a colouring book and a toddler fork. I must have had EVERYTHING else I own in my bag. I carry muslins, two sizes of nappies, wipes, lip balm, toys, snacks, water, lipsticks, hand cream and around 100 other items and need to be able to fish out what I need instantly. All mums know that its not worth making a nearly two year old wait. A great bag must have pockets for everything. It must also look beautiful because it's not all about the babies. 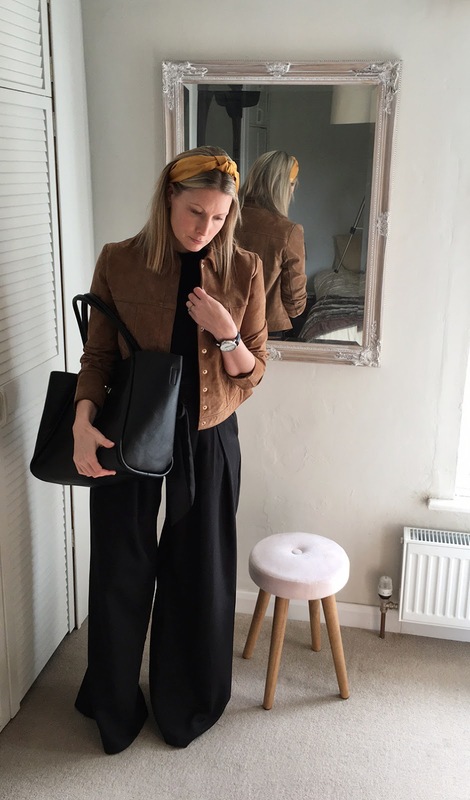 This Beau Sophia Leather baby bag is just delicious looking and has pockets galore, a removable insert (so you can take the contents and give it instantly to your hubby/mother in-law for their bag), an organiser changing mat (clutch bag) and pouch for all your essentials. When something is this well designed it makes mum-life that little bit easier. As a special treat for you lovely readers Im offering you an incredible £100 off with code NS100 making it only £89. Just click the link below and enjoy. 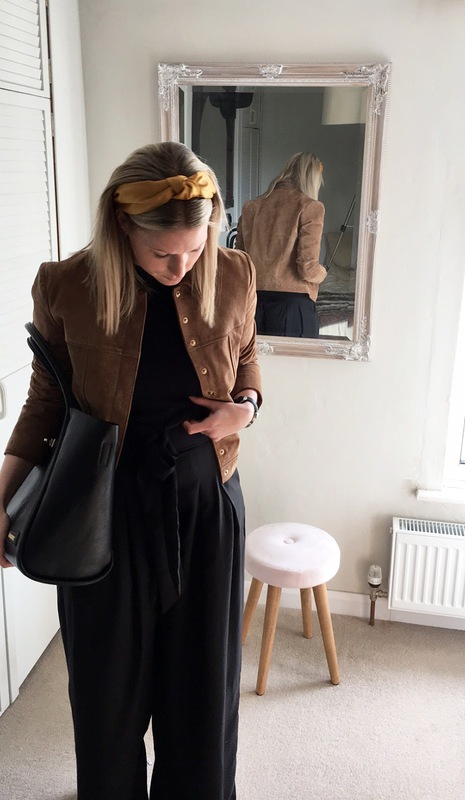 By the time you hit your thirties you tend to have developed a personal style. I have a bit of a go-to uniform. I definitely don't stick to it routinely, however I do naturally sway towards it when pulling a look together or on those days where I run out of time. I probably spent it clearing toddler breakfast off the floor. I'm totally a blazer girl. My wardrobe is bursting with far too many and I'll continue to buy them as they are a dam good purchase! 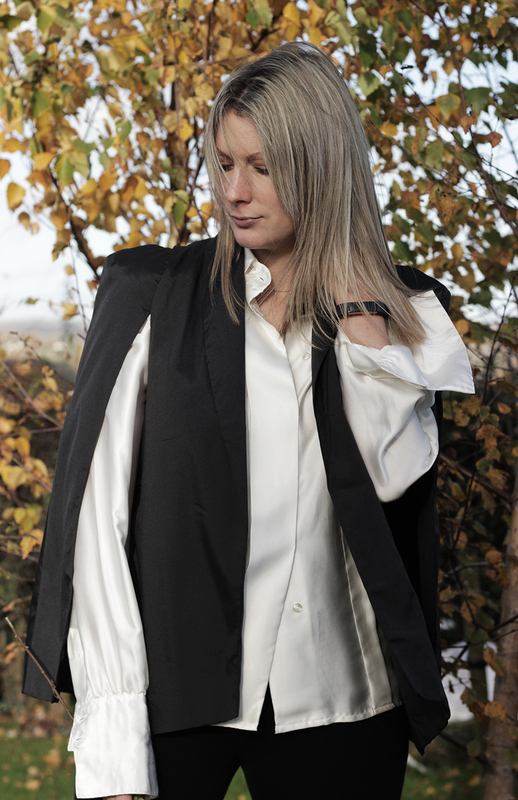 Blazers are easy to throw over a vintage silk shirt, a band tee or slip dress for that dressed-up-dressed-down look. Taking this into account you can understand my excitement when I came across this simple satin-look cape beauty. 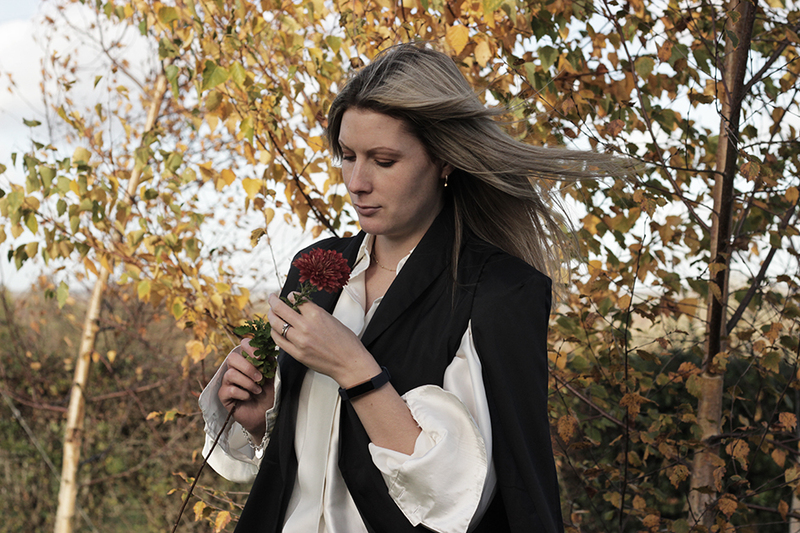 It's black, naturally, with a bit of edge and makes Autumn layering easy. At under £20 it's the best purchase I've made in a while. You can even save a little extra 15% from me by using code then15 when you shop.